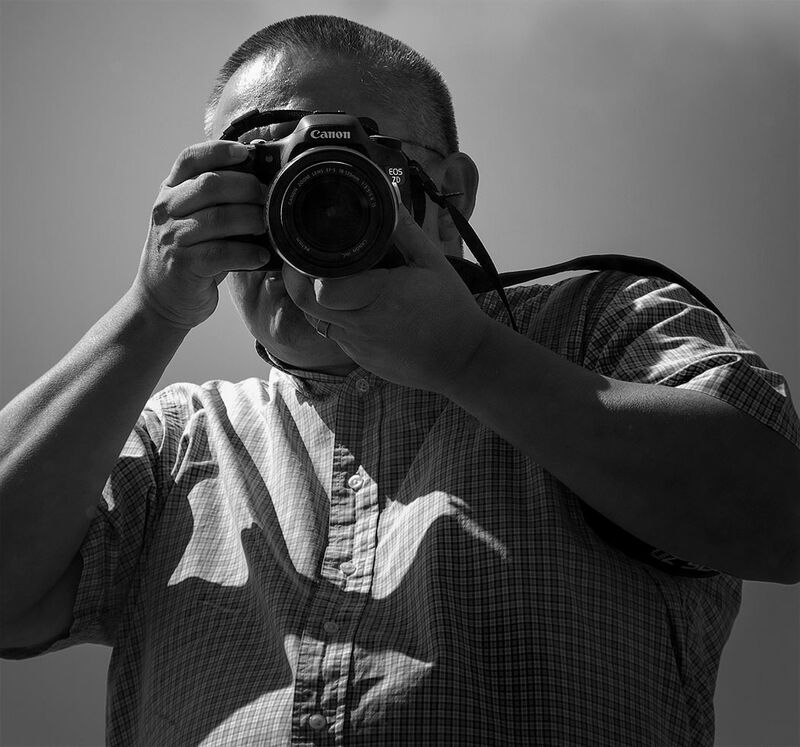 Award-winning photographer and writer Eugene Tapahe spent the first six years of his life with his grandmother, living off the land and practicing the traditional ways of their ancestors. This lesson in the importance of harmony between Mother Earth and man is what he aims to communicate to us all through his art. He strives to capture the landscape and people of the Southwest, using the camera as a lens to see the presence of his ancestors around him once again. Eugene Tapahe graduated in 1992 with a Bachelor of Fine Arts in Graphic Design from Brigham Young University. Since then he has exhibited his work in specialist venues and festivals across the United States, including the 2015 Smithsonian National Museum Indian Market in Washington, DC. On several occasions in 2016 Eugene travelled from his home in Arizona to Standing Rock, North Dakota to stand with the water protectors against the building of the Dakota Access Pipeline. During these trips Eugene used his camera to create extensive photographic records of the people and events. One of these images, ‘Healing the Heart‘, was featured in our 2017 exhibition ‘We Are Native Women‘. This exhibition also featured a heart-warming photograph of his daughters and his beloved grandmother, Susie Tapahe, at the magnificent age of 107. The photograph is titled ‘Maternal Strength, Lineage of Hope’. “One early morning, grandma, Susie, 107 years old, said, “Son, I love it when the early morning sun warms my face. Come, come take a picture of me with your beautiful girls. It will make my heart warm too.” As I watched my daughters, Erin (left) and Dion (right) carefully crawl onto the bed with their great grandma, I remembered doing the same as a child.